Over the next few weeks we will have a look at the different methods of testing an appliance. The purpose of this series is not to teach how to test and tag, but to demystify the process and show it is not rocket science, but something anyone can do. Everything is covered in detail in my nationally accredited Online Test and Tag course. This week we will look at the physical test because it is always the first test we do. This is by far the most important and the first test done for any appliance. If you do not do the physical check and there is a fault you will have a potentially dangerous appliance in your hands. Almost all faults will be detected during this check if it is done properly. All you do is inspect every part of the appliance for damage. In the 10+ years I tested professionally as a licensed electrician I never missed this test, and by far the majority of faults were found at this time. If a fault is found do not proceed with the test for two reasons. There is a full chapter on this in my on line test and tag training course. There only needs to be one fault to fail an item. If you are not sure fail it anyway and refer it to an electrician. If it is done correctly with practice it will become second nature and without thinking you will be detecting faults. First, pick up the appliance if you can. Does it look to be in good condition? are there any glaring faults that jump out at you? Look closely at the plug. Has it been replaced? Is the cover on securely and cannot be pulled off by holding the pins and trying to pull back on the cover? Is there any evidence of overheating? Check the lead. Does it have any cuts or abrasions? Do the inner cores appear to be twisted? This can often be seen or felt by irregular surface on the lead. Are there any signs of tape or other foreign coverings on the lead which could cover damage? This is very common and any tape must be removed. Inspect the appliance. Are there any cracks or damage to the casing? Does it work? Are all of the covers and guards in place? This is a brief overview of the first test. It is not meant to be a lesson but only an insight into testing and tagging. 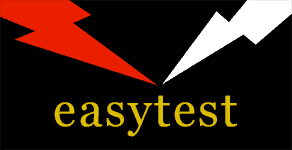 Testing and Tagging is a simple process using a Portable Appliance Tester, commonly called a PAT. We manufacture a range here in Adelaide with one specifically designed for each level of need.